1) WHAT IS A SENIOR CARE AUDITOR? A Senior Care Auditor is a person who provides senior care audits. This person has learned how to evaluate a seniors environment for safety issues, elder abuse and neglect fact finding, and many other criterion necessary for seniors healthy, comfortable life. Some Senior Care Auditors also are able to provide a wide range of personal care or domestic care and maintenance services. Senior Care Auditors make it possible for seniors to continue to live at home longer. In many instances, Senior Care Auditors also help ease a individual or families burden related to time, work and costs of providing senior care. 2) WHAT DOES A SENIOR CARE AUDITOR DO? A certified Senior Care Auditor knows how to spot and stop elder abuse and neglect. They know how to report abuse or neglect to authorities. They compile electronic reports related to the seniors home condition, safety of environment, signs of elder abuse and self-neglect; help protect people from false charges of elder abuse and neglect, they can evaluate the quality and competency of personal care services provided by a family or hired caregiver. 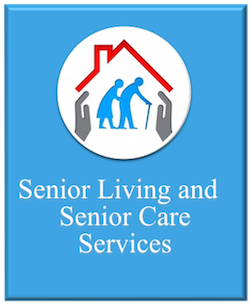 Some Senior Care Auditors are also able to provide other senior care services or domestic assistance services themselves. 3) WHAT IS A SENIOR CARE AUDIT? Related quality of care assessment for matters such as pet(s), lawn and garden, ice and snow removal, etc. 4) WHERE DO SENIOR CARE AUDITORS WORK? Any where there are senior citizens. 5) WHERE ARE SENIOR CARE AUDIT SERVICES NEEDED? 6) I HAVE NOT HEARD OF THIS SERVICE OR CAREER BEFORE. WHY IS THAT? This new service and career recently launched in early 2014. 7) WHERE DO I GET CERTIFIED TO PROVIDE SENIOR CARE AUDITOR SERVICES? Accredited comprehensive CSCA certification is only available form CertifiedCare.org. The program covers Long Distance Care, Personal Care, Alzheimer’s-Dementia, Special Needs, and Care Auditing and is available online from any computer or mobile device 24/7. Click here to register for Senior Care auditor certification now. 8) WHAT KINDS OF SENIORS BENEFIT FROM A CARE AUDIT? All types of seniors can benefit from Senior Care Auditing: Those who live in a private home. Those who live in residential care or assisted living facility. Adults or seniors living with Special Needs. Adults living with early stage dementia or other chronic illness. Seniors who live in rural areas. Seniors who live alone. Senior couples or roommates where one might be vulnerable to abuse. Seniors who do not enjoy regular visits from loved ones. Seniors who are not communicative. Seniors who seem stressed by their caregiver. Seniors who seem overwhelmed by grief or depression. Seniors who want someone available to them when they want or need a little help or assurance. 9) WHO NEEDS A SENIOR CARE AUDITORS SERVICES? 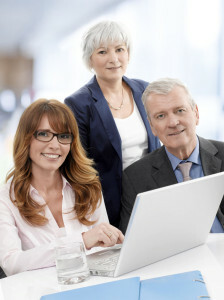 Many different types of ordinary people need a senior care auditor to help them: Individuals with demanding careers; sandwiched Moms or Dads; people who live far apart from their elderly loved one(s); people with many elders to look after; people who do not like caregiving; people who do not enjoy a pleasant relationship with their relative, but do want them looked after; people who do not want to be the provider of personal or domestic assistance; seniors who want a caregiver scrutinized by an independent 3rd party; seniors who want intervention to stop elder abuse. Professionals need senior care auditors to help them: Prosecuting attorneys who need witnesses for abuse/neglect cases; Defense Attorneys who need expert witnesses for abuse/neglect defense; government agencies who oversee aging populations; family members or friends who suspect abuse or neglect; Private investigators; people who can afford to delegate support to others; people who usually provide care but need respite or travel time away. Other third parties need senior care auditor services: People who want a facility scrutinized for quality of care; Families who want an independent 3rd party to get ‘the truth’ about a loved one’s home and personal condition; Neighbors who care about frail neighbors who seem to be struggling with self or home care; Family members, friends or neighbors who are concerned about a pet or pets being neglected; Home Health Agencies who need independent 3rd party feedback about caregiver service and professionalism; insurance companies; Home Care Providers who need independent 3rd party feedback about home care service and professionalism. 10) WHO HIRES A SENIOR CARE AUDITOR? Same as above: Many different types of people. Individuals with demanding careers; sandwiched Moms or Dads; people who live far apart from their elderly loved one(s); people with many elders to look after; people who do not like caregiving; people who do not enjoy a pleasant relationship with their relative, but do want them looked after; people who do not want to be the provider of personal or domestic assistance; seniors who want a caregiver scrutinized by an independent 3rd party; seniors who want intervention to stop elder abuse; Prosecuting attorneys who need witnesses for abuse/neglect cases; Defense Attorneys who need expert witnesses for abuse/neglect defense; government agencies who oversee aging populations; family members or friends who suspect abuse or neglect; Private investigators; people who can afford to delegate support to others; people who usually provide care but need respite or travel time away; People who want a facility scrutinized for quality of care; Families who want an independent 3rd party to get ‘the truth’ about a loved one’s home and personal condition; Neighbors who care about frail neighbors who seem to be struggling with self or home care; Family members, friends or neighbors who are concerned about a pet or pets being neglected; Home Health Agencies who need independent 3rd party feedback about caregiver service and professionalism; insurance companies; Home Care Providers who need independent 3rd party feedback about home care service and professionalism. 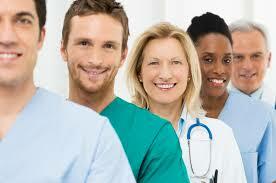 CSCAs work with all types of ordinary and professional people. 11) HOW MUCH CAN I CHARGE FOR A SENIOR CARE AUDIT? Senior Care Auditors who are unaffiliated can charge what their market will allow. Prices charged range from $30-$100 and, of course can be higher in affluent areas and lower in not so affluent areas. 12) HOW MUCH DO I GET PAID FOR A SENIOR CARE AUDIT? That depends upon who you work for, affiliate with, or what you choose to charge. A suggested flat fee starts around $30. 13) WHO PAYS FOR A SENIOR CARE AUDIT? Usually the individual who requested the report for a loved one. Sometimes, seniors order and pay for their own senior care audit report(s). 14) WHO GETS THE SENIOR CARE AUDIT REPORT? The person who paid for it. Of course, the senior can request a copy, if they did not pay for the report. 15) WHAT TYPE OF PERSONAL CARE SERVICES CAN I PROVIDE AS A SENIOR CARE AUDITOR? That decision is entirely up to you or the company you attach yourself to. None or whatever you are professionally able to. 16) CAN A SENIOR CARE AUDITOR COME TO A FACILITY AND PERFORM AN AUDIT? 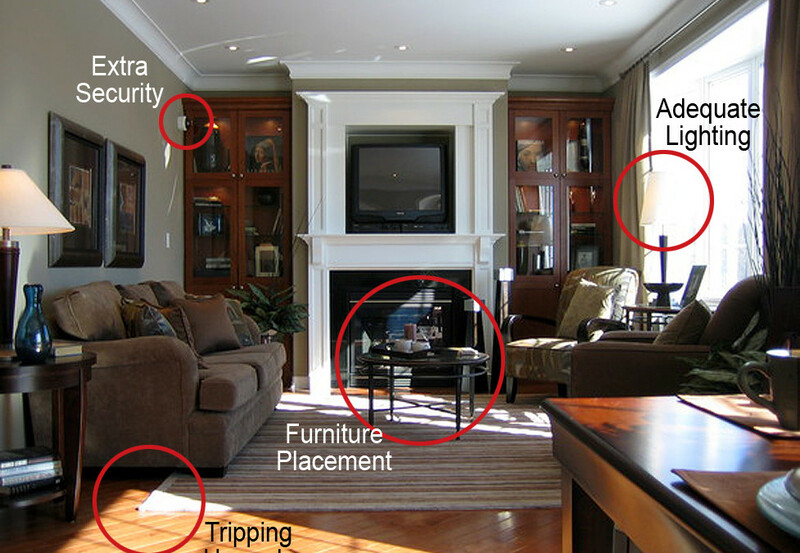 Yes, Senior Care Auditors know how to perform facility audits. However, these audits are not to be confused with government or accounting audits. 17) WHO MAKES A GOOD SENIOR CARE AUDITOR? You must like seniors; be comfortable going into peoples’ homes and conducting inquiries and assessments of them and their environment; have a detail oriented mind; are curious and inquisitive; are resourceful; are organized; have the ability to communicate verbally and in writing clearly and appropriately; are professional; can manage technology. Do you like working with seniors? Than you will like being a Senior Care Auditor. 18) WHAT KIND OF QUALIFICATIONS DO I NEED TO BECOME A SENIOR CARE AUDITOR? Typically, at least 2 years of experience in long term care; a clean drug and criminal record, and senior care auditor certification; otherwise, whatever other companies might require. The accredited and comprehensive Senior Care Auditor program offered by CertifiedCare.org teaches you how to spot and stop abuse and neglect. 19) WHAT KIND OF EDUCATION DO I NEED TO BECOME A SENIOR CARE AUDITOR? It depends upon the type of career and you want to have and service versatility you want to provide. Technically, you can just hang out a shingle, with no formal education required for this work. However, formal credentials are important to the public and other professional service providers you might wish to conduct business with. In order to have formal marketable credentials you must complete the only comprehensive senior care auditor certification program (which includes 4 Personal Care Aide specialty certifications along with the Senior Care Auditor certification) only offered by CertifiedCare.org. Their programs are accredited, online and available 24/7. Penrose hires SCAs and has minimal entry requirements, you do not even need a background in personal care. Otherwise, shop around for whatever program suits your needs, but your service options will be limited if you do not have personal care, nursing, or other senior care service certifications or licenses that your clients will demand. 20) CAN I WORK FROM HOME AS A SENIOR CARE AUDITOR? Yes. This is an great career for those who wish to work from home. 21) WHERE CAN I GET A JOB AS A SENIOR CARE AUDITOR? Typically , Senior Care Auditors have their own business. Do an internet search for senior care auditing companies who might be hiring employees. Expect to only get part time hired work, though. 22) HOW LONG DOES IT TAKE TO BECOME A SENIOR CARE AUDITOR? Typically just a matter of days. It depends on how quickly you complete your education. CertifiedCare reports that most of their students are finished within 2-3 weeks for all five modules of their program, some finish much more quickly. 23) WHERE DO I GET MY CERTIFICATION TO BECOME A SENIOR CARE AUDITOR? CertifiedCare.org provides the only comprehensive and accredited SCA education and certification and maintains a free public registry for credentials verification. The advantage of this is you can work anywhere with quality credentials, not just for a particular employer who might issue a certificate for an orientation class. 24) CAN I WORK PART TIME AS A SENIOR CARE AUDITOR? 25) CAN I WORK AT A HOME HEALTH AGENCY AS A SENIOR CARE AUDITOR? 26) I’M A PCA/HHA/CNA/LPN/RN/LSW/GCM. CAN I BECOME A SENIOR CARE AUDITOR? Yes. If you like working with seniors you are an ideal candidate. You will make more money due to higher demand if you are able and willing to provide some level of personal and/or domestic care for your clients. 27) I’M RETIRED/OVER 40/OVER 65. CAN I BECOME A SENIOR CARE AUDITOR? Yes, if you are healthy and can manage travel and the technical responsibilities of the job. Your age is actually advantageous and a desirable quality for this type of senior care service. 28) I’M A FAMILY CAREGIVER. CAN I BECOME A SENIOR CARE AUDITOR? Yes. Just be sure you like seniors in general. Taking care of a stranger is not like taking care of a loved one. 29) CAN I WORK MY OTHER JOB AND PROVIDE SENIOR CARE AUDITING SERVICES? Yes. If you other job permits, take advantage of the scheduling flexibility this service can provide to make extra money. 30) CAN I ADD THIS SERVICE TO MY EXISTING SENIOR CARE BUSINESS? Yes. This is the most easiest and most efficient way to start a Senior Care auditing business. 31) DO I HAVE TO JOIN A NETWORK OR COMPANY IN ORDER TO HAVE A SENIOR CARE AUDITING BUSINESS? 32) HOW DO I GET CLIENTS AS A SENIOR CARE AUDITOR? Typically, a Senior Care Auditor needs to make every effort to grow their own business and get clients. A good quality senior care auditor education program will teach you where, and how to do all that. If you work for an agency you will probably have leads given to you,but you might still be expected to drum up some business on your own. 33) WHY WOULD SOMEONE NEED ONGOING SERVICE IF THE FIRST FEW AUDITS ARE OKAY? Because things change over time and often unexpectedly: caregivers rotate and have different standards and personalities, appliances break down, seniors get sick, and so on. 34) WHAT IS DIFFERENT ABOUT A CERTIFIEDCARE.org CERTIFIED SENIOR CARE AUDITOR? CertifiedCare.org education teaches you everything you need to know about providing elder care in any environment and senior care auditing, including how to have a successful career. CertifiedCare.org senior care education is top notch and unmatched – these people take senior care seriously. 35) HOW MUCH MONEY WILL I EARN AS A SENIOR CARE AUDITOR? That depends. If you work for yourself and only provide the senior care auditing service then you can charge between $40-100 for that service, depending upon the market you are in. Otherwise, pay will depend upon your employer. Senior Care Auditors who provide personal care or other domestic services will make more money, because they will be in greater demand. The other variable is how much you work. Senior Care Auditors willing to work holidays, weekends, evenings, will probably make more money. 36) I HAVE A CRIMINAL RECORD. CAN I BECOME A SENIOR CARE AUDITOR? You can become a senior care auditor and own our own business. You might be able to work with another senior care auditing company or agency depending upon their policy. HOWEVER, If you have been convicted in any jurisdiction of any crime involving theft, fraud, or violence you will, of course, have a much more difficult time getting hired by any agency. 37) I HAVE BEEN IN REHAB. CAN I BECOME A SENIOR CARE AUDITOR? You can become a senior care auditor and own our own business. You might be able to work with another senior care auditing company or agency depending upon their policy. 38) WHERE DO I START TO BEGIN THIS CAREER? If you intend to hold yourself out as a certified Senior Care Auditor, get your accredited education & certification from CertifiedCare.org. Otherwise, simply set up your senior care auditing service in compliance with your local and state business ordinances and laws or seek employment at an agency. 39) WHERE IS THE SENIOR CARE AUDITOR SERVICE LEGAL? This senior care service is legal in all United States and is not prohibited in any jurisdiction elsewhere. 40) WHERE CAN I GET REGISTERED CREDENTIALS FOR SENIOR CARE AUDITING? Accredited and registered certifications for Senior Care Auditing are available online at CertifiedCare.org. Some employers offer a certificate for completing their orientation to their service, but those credentials are only useful for that employer and are not recognized elsewhere. This entry was posted in Caregiving, Certified Caregiver, Certified Caregiving, Elder Abuse and Neglect, Elder Care Goods and Services, Professional Eldercare, Senior Care Auditing, Special Needs, Sweet Relief CAP and tagged about senior care auditing, become a senior care auditor, certification, certified senior care auditor, certifiedcare, CertifiedCare.org Senior Care Auditor certification, for senior care auditor, how to be a senior care auditor, senior care auditing education, what is a senior care auditor, what is senior care auditing, who hires senior care auditors. Bookmark the permalink.